Tom Karwin was ahead of his time. In the eighth grade, Tom was missing for two weeks, only to turn up in Vail, Colorado where he was pursuing his skiing dreams. Most of the parents labeled him a delinquent rather than acknowledge the Tom Sawyer he was. 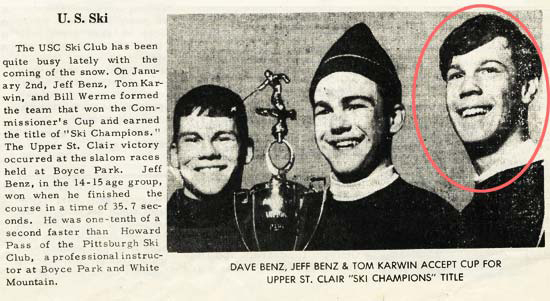 Dave Benz is the Class of '67 President.